While most people may not need the service menu throughout their entire Samsung galaxy s5 life, the menu is very useful for troubleshooting the device in case you begin to experience problems handling your phone. The secret menu on the S5 allows you to check for errors on different areas of the phone. For example it can help verify that the sensors, touchscreen, vibration e.t.c are still working. If you have this knowledge, you can then drop the notion that, for example, one section of your touchscreen has gone bad. 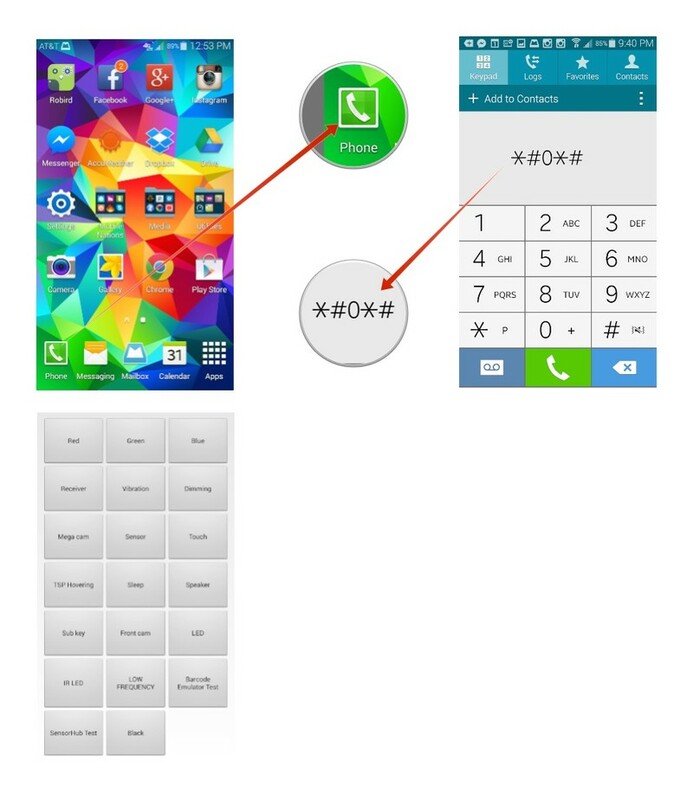 To access the secret service menu on the Samsung galaxy S5, open up the Phone application, then enter the dial pad. On the dial pad, type the code *#0*#. The hidden service menu would then be displayed on-screen. It consists of several large buttons which represent several tests you can perform on your galaxy S5 to check for problems.